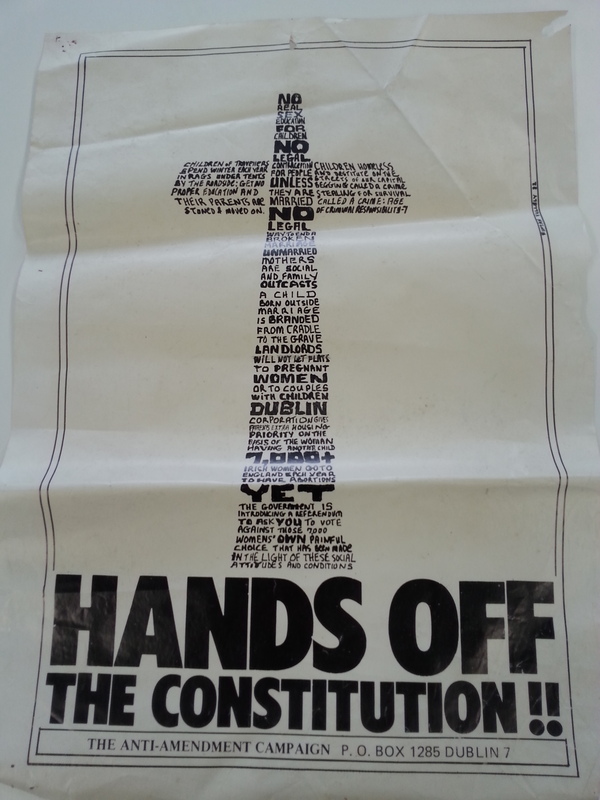 On 27th April 1981 a Pro-Life Amendment Campaign (PLAC) was launched with the aim of putting pressure on the Irish government to hold a referendum to insert an amendment to the Irish constitution guaranteeing the right to life of the foetus. 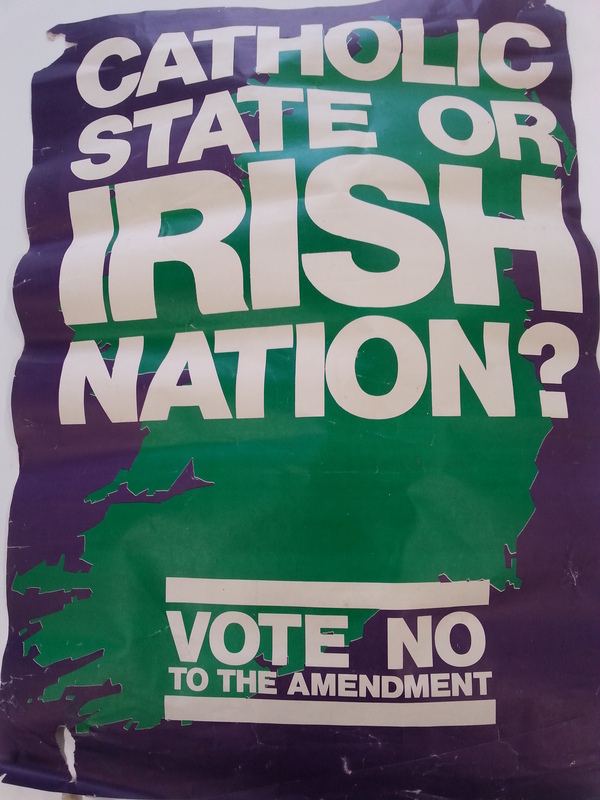 Gradually opposition to PLAC emerged in feminist, socialist and liberal circles and Protestant church leaders began to voice their objections. 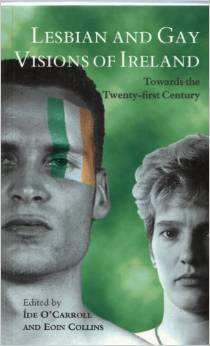 Two conferences were held in December 1981 and March 1982 to discuss how to respond to PLAC. 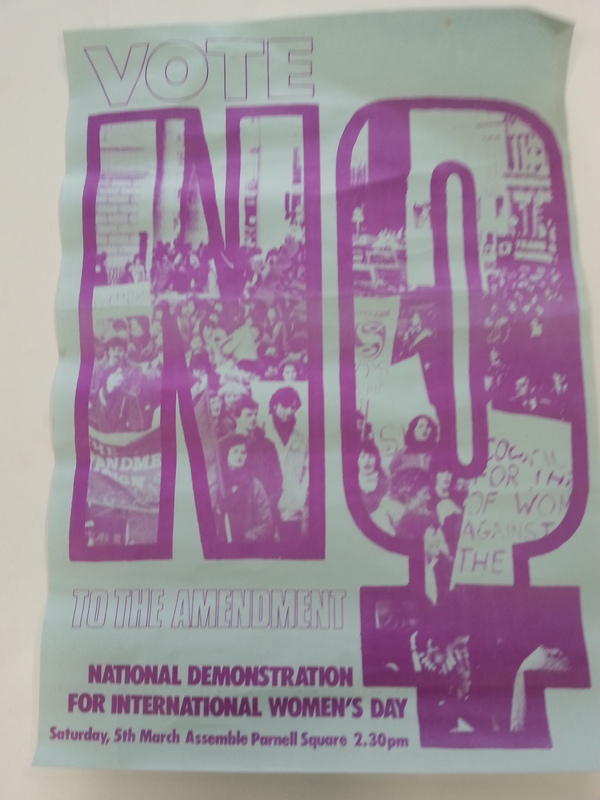 The conferences endorsed the establishment of a mixed (women and men) Women’s Right to Choose Campaign (WRCC) which would oppose PLAC from a pro-choice position. 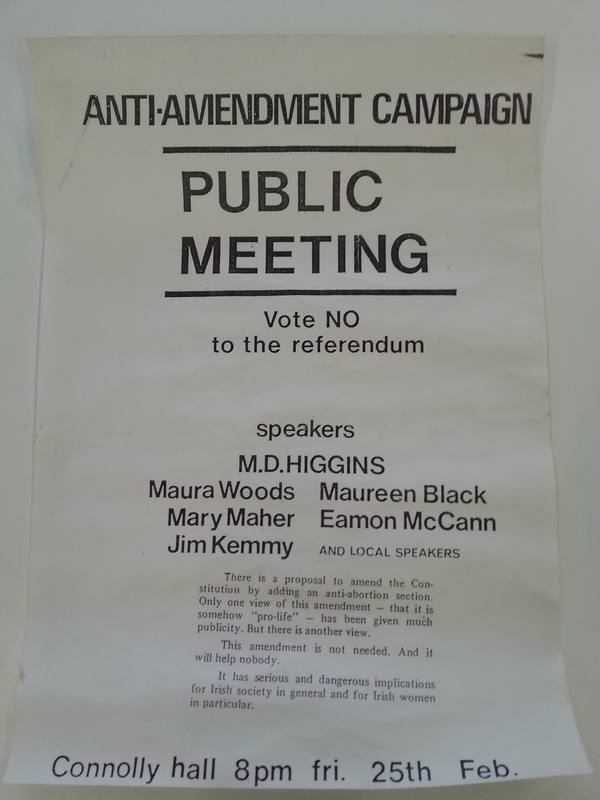 Others felt it was better to set up a broad-based alliance which would oppose the amendment but would not be openly pro-choice, In April 1982 an Anti-Amendment Campaign (AAC) was set up. 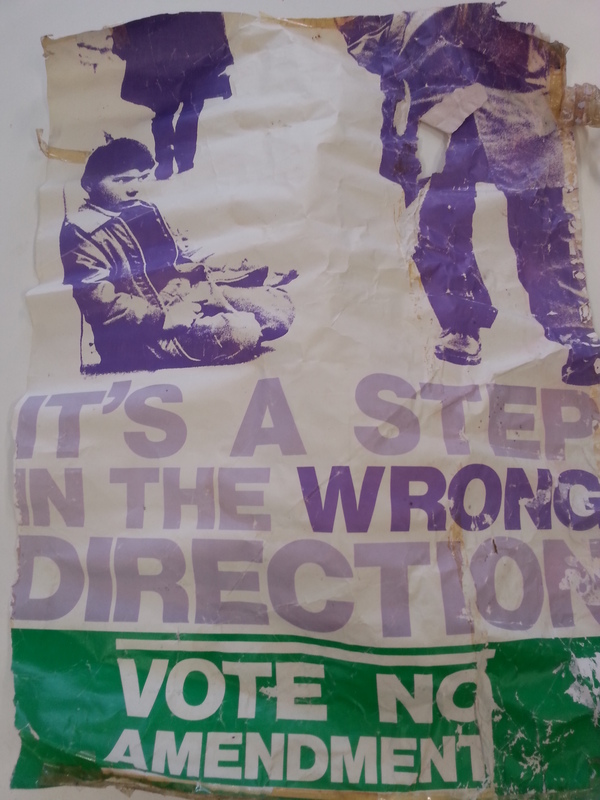 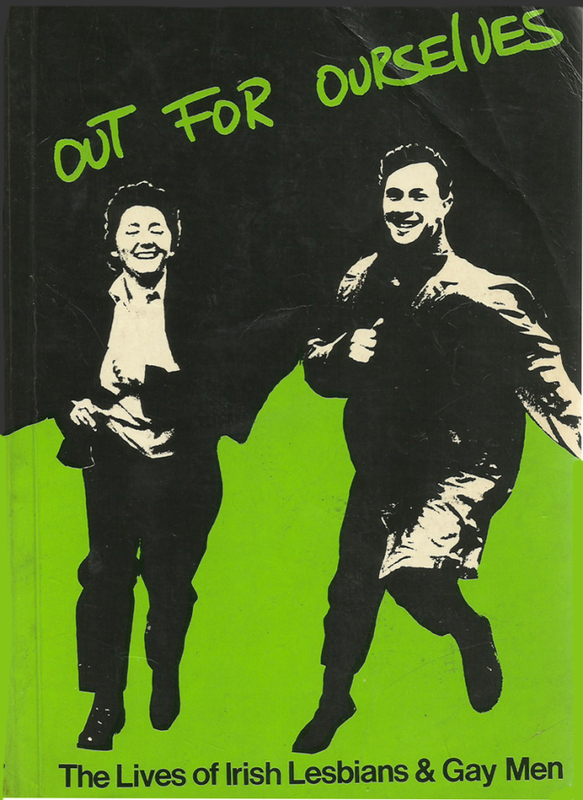 So while LGBT group saw the need for mutual solidarity between groups opposing restrictive and repressive measures in Ireland, this support was often not reciprocal and some in these campaigns sought to hide the involvement of LGBT groups because of fears that visible involvement of LGBT groups would damage the image of the campaigns.